There's no getting away from it - Christmas is fast approaching this year, and I already actually really feel right "in" the Christmas spirit. I mean, how could I not be - I'm signed up to be a Secret Santa a few times over and I reckon I will look absolutely ah-mazingly christmassy this time around, and all thanks to the brilliant company Cheesy Christmas Jumpers. Over the past few years, a craze seems to have swept throughout the UK. 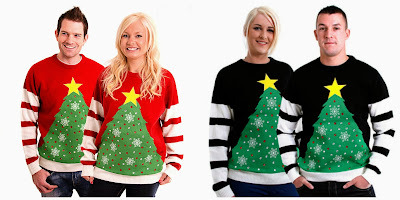 Men, women and children alike are dead set on sourcing the craziest, loudest and dare I say it, the ugliest Christmas jumpers possible and wearing them everywhere over the festive period. Naturally, not one to want to be left out, I wanted to get myself in on this craze last year but I made the major school-girl error of leaving it until the very last minute to go Jumper Shopping - and all the best ones were long gone. However, this year it seems I will be a whole two months ahead of the rest - I will look the part - and all thanks to a fabulous Bradford based company. 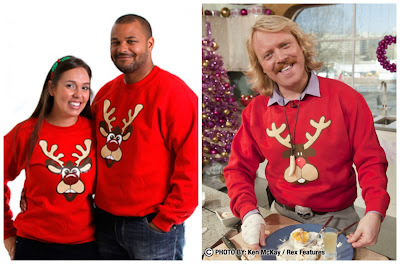 So who are Cheesy Christmas Jumpers I hear you ask? 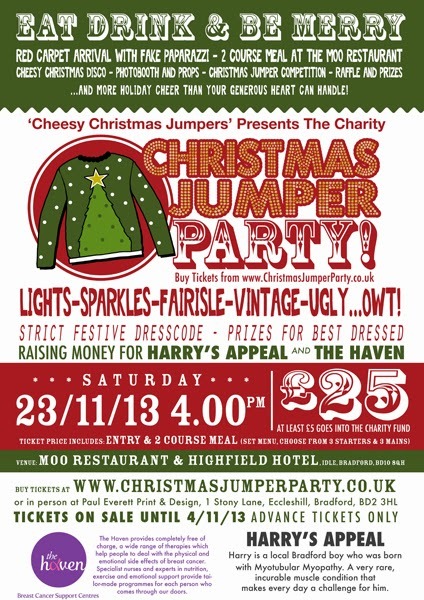 Well, as I said earlier, Cheesy Christmas Jumpers are based in my hometown of Bradford and began their journey in 2009 when father and son - Paul and Mark Everett - had an idea and began work, initially by selling a few made to order Christmas jumper designs through eBay. Year after year, the company has simply grown and grown, and gone from strength to strength - so much so that they now offer a much larger range, including jumpers, sweatshirts and t-shirts, all Christmas themed and suitable for men, women and children. The company is so popular now, that they not only sell within the UK and Ireland, they have a large demand to ship their Christmas Cheese worldwide too. And a lot of this Christmas Cheese seems to be being snapped up by celebrities too, who just can't seem to get enough of the brilliant brand. I just love it when Bradford does good. Cheesy Christmas Jumpers offer a range of items, all within different price ranges. So no matter you're budget, you can have an amazingly Cheesy Christmas! The Christmas Sweatshirt is the companies most affordable line, with the classic Rudolph being the bestseller. At an amazing £19.99, the bright red fabric, complete with large glitter nose, is a brilliant value buy. It was even worn by Keith Lemon in 2010 on ITVs "This Morning" - how brilliant is that. If it's good enough for Keith, then it's certainly good enough for me. The Mid-Priced Range includes the companies line of knitted jumpers. Knitted jumpers are the thing we all tend to associate typically with Christmas Cheese, and this range is priced between £34.99 - £39.99. Each item is knitted, is soft, and is made using the brightest, most garish coloured wool available, which really gives them that loud Christmas Jumper feel. The Premium, and frankly, my absolute favourites from the company, are the knitted, brightly coloured jumpers with the added edge! These jumpers are priced slightly higher at £49.99 but they look fab and all have a bit of "omph" with baubles, stars and actual, real, flashing LED lights sewn into them! How amazing - they really do flash! Can it get any more "christmas" than this? Cheesy Christmas Jumpers have gone one extra this year too, and have an amazing Charity Christmas Party night organised, at another favourite of mine - Moo Restaurant (find my review here). Tickets are priced at £25.00 and include a two course meal at Moo, with £5.00 from each ticket going to two local charities - Harry's Appeal and The Haven. It should be an amazing evening. I love Christmas Jumpers and gonna have to get another one this year!!! 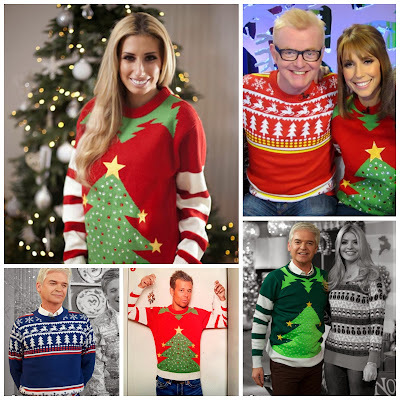 Will have to check Cheesy Christmas Jumpers and see what they have got.